Close-up Of A Portion Of A White Chocolate Raspberry Cheesecake On A Plate. 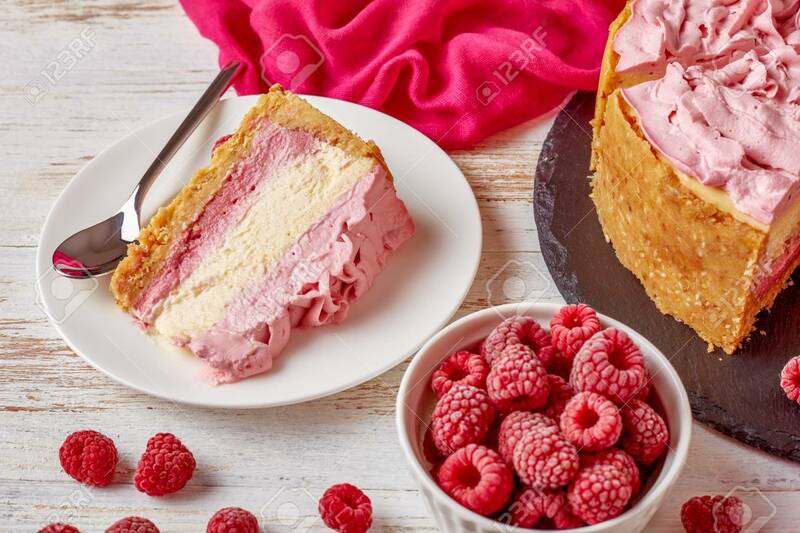 Sliced Cheesecake On A Black Stone Tray With Cloth And Frozen Raspberries On A White Wooden Table, View From Above Lizenzfreie Fotos, Bilder Und Stock Fotografie. Image 114884055.